Mohamed El-Sallak, the spokesperson for the head of the PC, Faiez Serraj, said Serraj calls for a unified international stance on Libyan issues and called for constitutional democratic elections(Photo: Archives from Presidency Council). Faiez Serraj, head of the Libya’s internationally-recognized Presidency Council and Government of National Accord (PC/GNA) has reiterated his call for the international community to unify its stance on Libyan affairs. 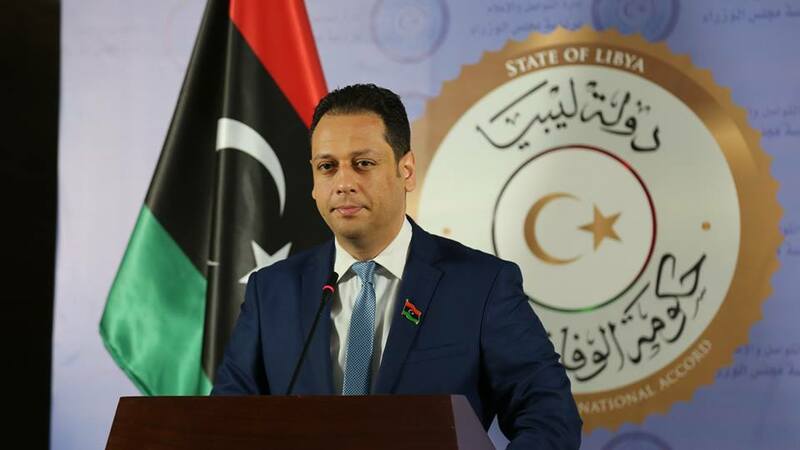 The reiteration came through Serraj’s official spokesperson, Mohamed El-Sallak, during Tuesday’s weekly press conference held in Tripoli. El-Sallak stressed the importance of a unified international stance on Libya’s political issues, pushing for a solution to the Libyan crisis, stressing the need to adhere to the democratic mechanism of access to power, which he said is the ballot box, so that Libyans choose who represents them of their own free will. Sallak also confirmed that Libya’s parliamentary and presidential elections would be held on a sound constitutional basis. He further stressed the need for the immediate commencement of municipal elections and the commitment to the extent possible of the scheduled elections. He also stressed the importance of municipal elections as a consolidation of the decentralization option and part of the democratic process, paving the way for other forthcoming political constitutional obligations in the form of parliamentary and presidential elections.